Pathways is about helping all kinds of churches to be effective in mission. It’s a way of thinking about, planning and enacting the mission of Jesus in the context of the local church. Pathways is based in the notion that all kinds of churches can be effective in mission: church plants and ancient cathedrals, emerging churches and traditional churches, churches that are big on preaching and those that emphasise liturgy and sacraments, or social action. Pathways thinking arose from field experience in coaching church planters and church leaders. We asked the question, ‘What are the similarities of ministry process in churches that grow by making new disciples?’ And it’s been honed by field experience – over a hundred churches in four countries over nearly two decades. We don’t believe that you need to deconstruct and reinvent everything to be effective in mission – but you do need to be intentional about what you do. And that may lead to changing things – and over time, it may mean changing a lot of things. Pathways is not trying to be the local church mission universe. Lots of diligent and insightful people have written a lot about local church mission. We’re not here to debunk all that’s gone before – in fact, we’re here to make use of as much of the good missiology and church dynamics literature as we can. You can engage the Pathways paradigm in a number of ways. Firstly, you can buy the book, which sets out the theory and explains the underpinning ideas. It also suggests a way of approaching implementation. It’s loaded with examples from real churches that have worked to put pathways thinking into practice. You can get yourself a Pathways coach. We have a team of coaches that can help you put the paradigm to work in your context. They’ll provide you with both support and accountability to keep you moving forward. Contact us and we’ll put you in touch with a trained Pathways coach. You can also sign up for a workshop. The initial ‘Foundations’ workshop takes about 6 hours and is delivered by a trained facilitator. A word of warning – we won’t deliver the workshop without signing you up for at least a year of monthly coaching. Contact us for more info. Jesus used a lot of farming metaphors. The most obvious reason is that he was speaking to an agrarian society, and farming was familiar to his audience. But less obvious is the dynamic relationship between the farmer and God’s design. Humans can’t actually ‘grow’ grains or fruit or vegetables. All we can do is work to provide a favourable environment where the selected crop has a good chance of growing according to its inherent, God-ordained design. The better we understand the needs of the plant that produces the crop, the better we can help it grow. The similarities to making disciples are obvious. Humans can’t make other humans into disciples. We can only provide the kind of environment where disciples are likely to grow. Pathways encourages you to think of your church or church plant as a disciple-making ecosystem. Just as a farmer works in harmony with the developmental stages of the crop they’re growing (as Jesus described in Mark 4:26), so a church will be more fruitful if it works with a solid understanding of the developmental stages of disciples.Pathways looks at discipleship in terms of seven developmental stages. Farms are also integrated environments – their rhythms and processes work in harmony with each other and with the development stages of the crop. Each activity is best understood in the context of the whole. And so it is with effective churches -and Pathways is designed to help you work towards greater integration of your activity. 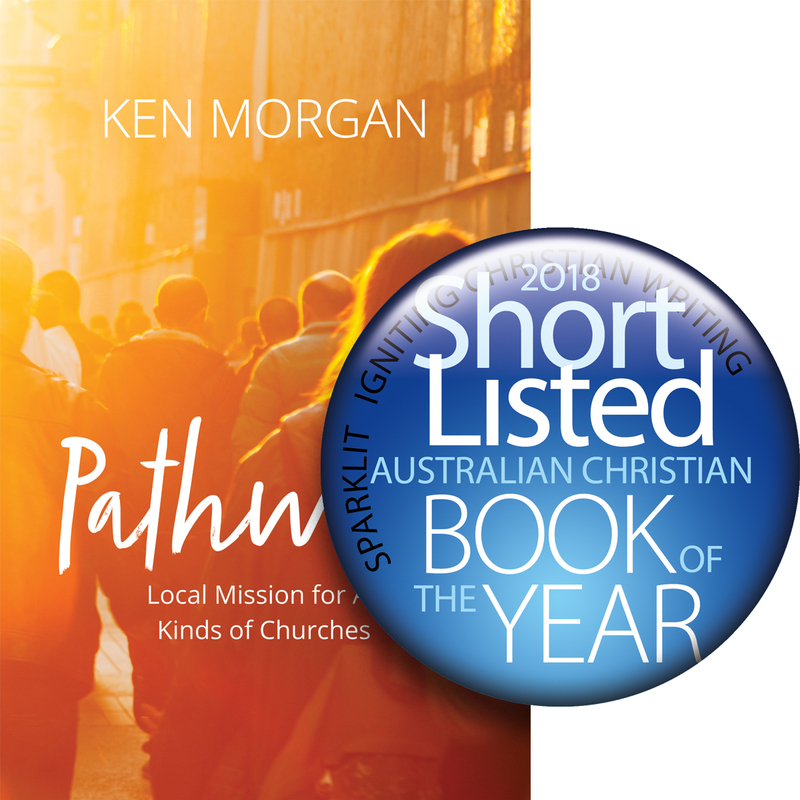 Trainer and coach for church communities and leaders, Ken Morgan, is a significant contributor to our diocesan mission of ‘making the Word of God fully known’. Anecdotes and practice grounded in Australian soil lead to practical and simple relational steps that build clarity around focus and confidence for participating in pathways to discipleship. The publication of ‘Pathways’ with its emphasis on bringing out the best from what churches are already doing, aligns resources to vision and makes mission more possible. I welcome and commend ‘Pathways’. Pathways overturned how I view our church and its ministries. No longer do I see ministries as individual isolated programs, but instead as (ideally) part of an interconnected pathway of ministries, each with a specific goal/role in that system. It equipped me to ask the right questions of our ministries, like “what’s the next step?” or “how do ministries connect with each other?”. It enabled me to assess what new ministries we need and has helped me say no to others. Make use of this brilliant opportunity to reshape or enhance your church’s ministry strategy to better seek to make disciples of Christ. We’re introducing Pathways to parishes in the Diocese of Tasmania, because it is a practical down-to-earth tool for helping churches make disciples. Our first crop of participants are excited about what this will mean for their mission of making disciples of Jesus tailored to their local context. They went from the workshop with loads of practical application, and a concrete work plan. I commend these resources to anyone serious about church based mission in 21st century Australia. Does the future of the church look like rock concert-styled worship services? Informal house, café, or playgroup-styled churches? Or do we need to think about mission in different ways? Cutting through the temptation to solve our ecclesial anxiety through a particular model, Ken Morgan outlines the principles of intentional disciple-making that bring hope and possibility to churches of all kinds, including the average suburban church. Buy this book, implement these principles, and transformation awaits. When thinking about evangelism and discipling Pathways is a program that can put all the different steps and programs together in a logical, successful way, so we can make a difference for God. By working through Pathways we can see clearly what fits and what doesn’t fit in our church, even though it might be a good thing or a historical thing. We can then instead move our intentionality and efforts towards the two or three things that can make the greatest difference and advance the Kingdom of God.